28 colour(s) to choose from! Cost effective advertiser in 12 popular colours. Perfect solution to raise awareness for product launches, charity events etc. 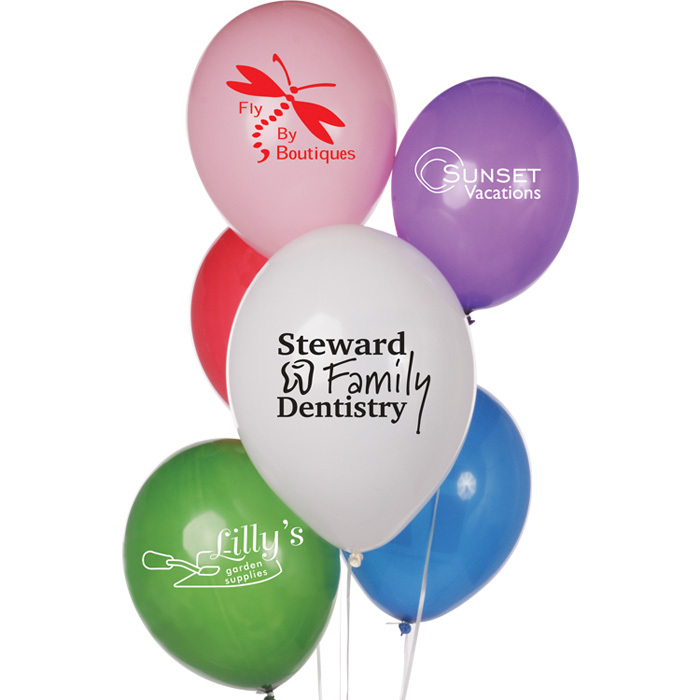 For a cheaper option 10" balloons are available. Foil balloons, pumps, ribbons and sticks also available (costs extra). Made from bio-degradable latex (will biodegrade after 2 years). It is recommended that the balloons be kept away from light and at room temperature. The natural rubber latex contains proteins to which some individuals may develop an allergy. For safety due to small parts and choking hazard children under eight years of age should be supervised when balloons are in use. Print area: 125 x 125mm.